Customer service is now moving to another level with the advent of multimodal service. Previously, a customer would engage with a company or business in a linear manner, engaging by one single channel before moving to another separate channel, if needed, to resolve the issue or gather information. Today’s multimodal customers have a very different engagement pattern. Now, thanks to technology advances, more customers are using multiple customer service channels simultaneously (i.e., live chatting while Web browsing). 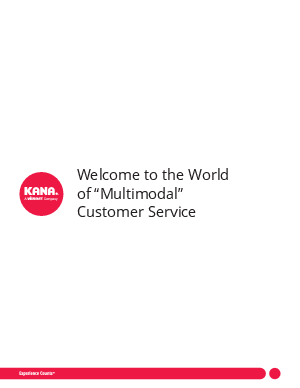 As more customers embrace technology and continue to adapt to the ever-increasing functionality of their devices, multimodal customer service will soon be the new norm. As such, it is critical for organizations to understand the implications, challenges and opportunities in servicing today’s multimodal consumer.